Bouvincourt is a village some 10 kilometres south-south-east of Péronne. The cemetery is situated to the west end of the village near the church, and the Commonwealth war graves are located to the right hand rear of the cemetery. 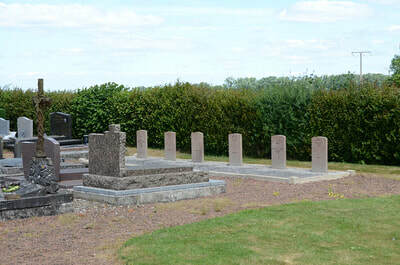 200577 Lance Serjeant Charles Henry Elliott, 2nd/4th Bn. Leicestershire Regiment, died 11th April 1917, aged 36. 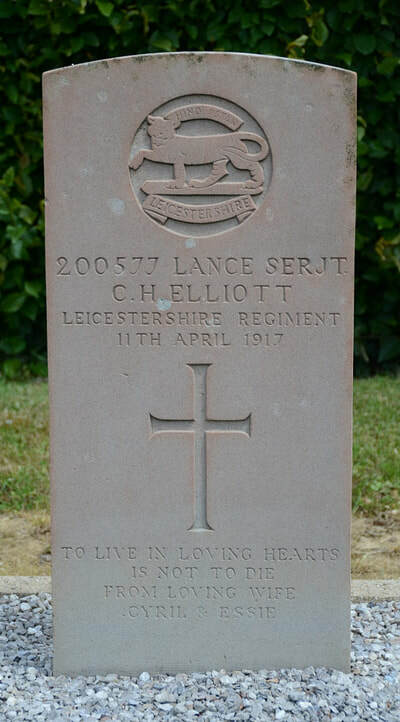 Husband of Mrs. E. E. Elliott, of Conway Villas, Spencer St., Oadby, Leicester. 320219 Private Hugh McKinnon, 1st/1st North Midland Field Ambulance, Royal Army Medical Corps, died 24th September 1918, aged 24. 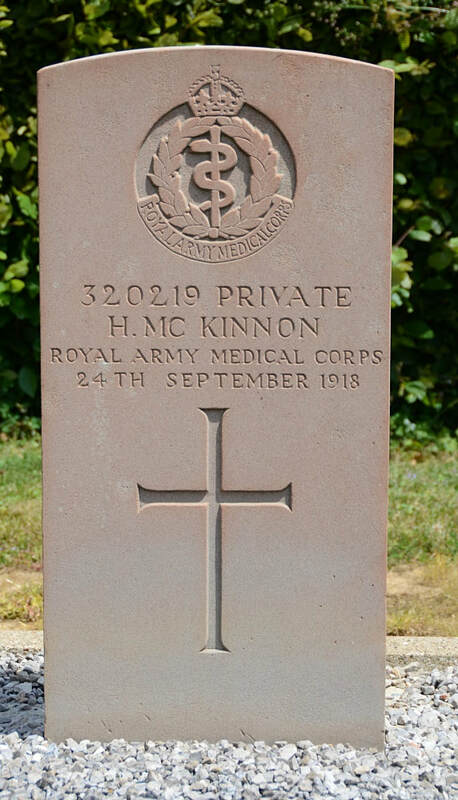 Son of Angus and Margaret McKinnon, of 181, Gorgie Rd., Edinburgh. 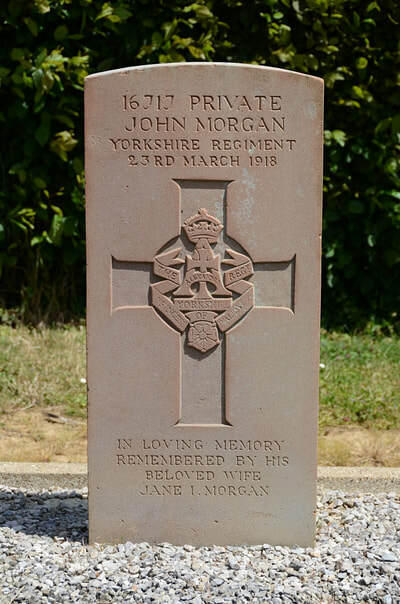 16717 Private John Morgan, 1st/4th Bn. 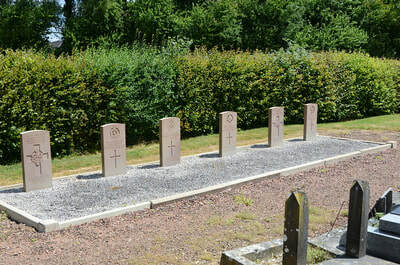 Yorkshire Regiment, died 23rd March 1918, aged 34. Son of Mrs. Lizzie Morgan; husband of Jane Isobel Morgan, of Anderson Row, Freehold Leamside, Co. Durham. 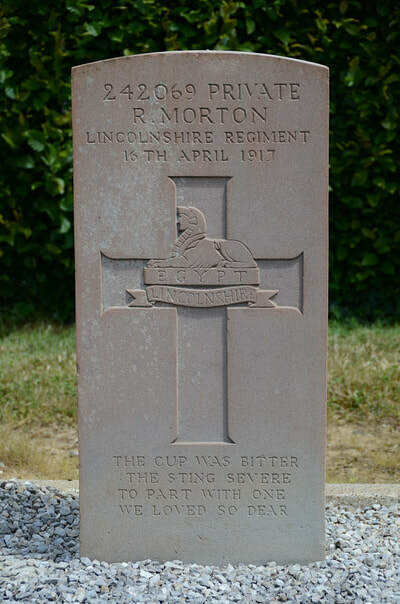 242069 Private R. Morton, 2nd/5th Bn. Lincolnshire Regiment, died 16th April 1917, aged 21. 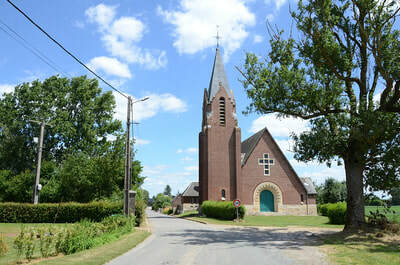 Son of Henry and Fanny Morton, of 40, Belmont Park Rd., High Rd., Leyton, London. 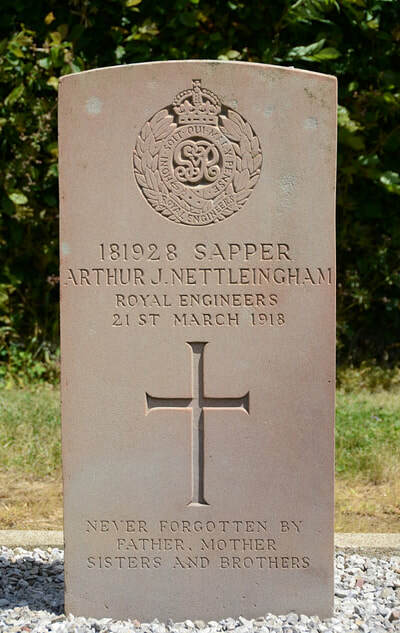 181928 Sapper Arthur Joseph Nettleingham, 24th Division, Signal Company, Royal Engineers, died 21st March 1918, aged 25. 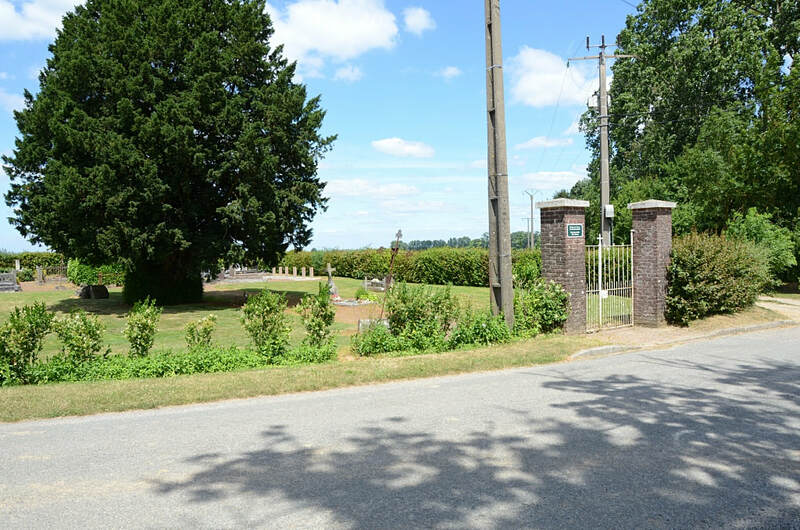 Son of George and Mary Ann Nettleingham, of 94, High St., Greenhithe, Kent. 200885 Serjeant Samuel Arthur Offiler, 2nd/5th Bn. 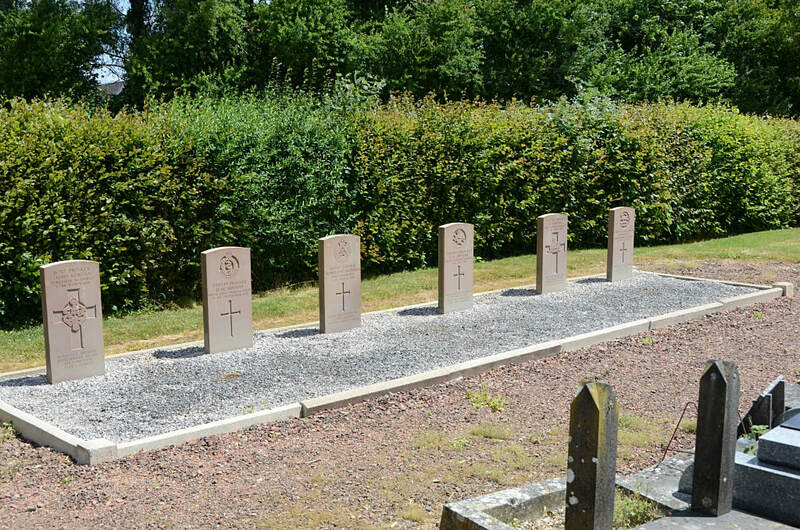 Sherwood Foresters (Notts and Derby Regiment), died 4th May 1917, aged 39. 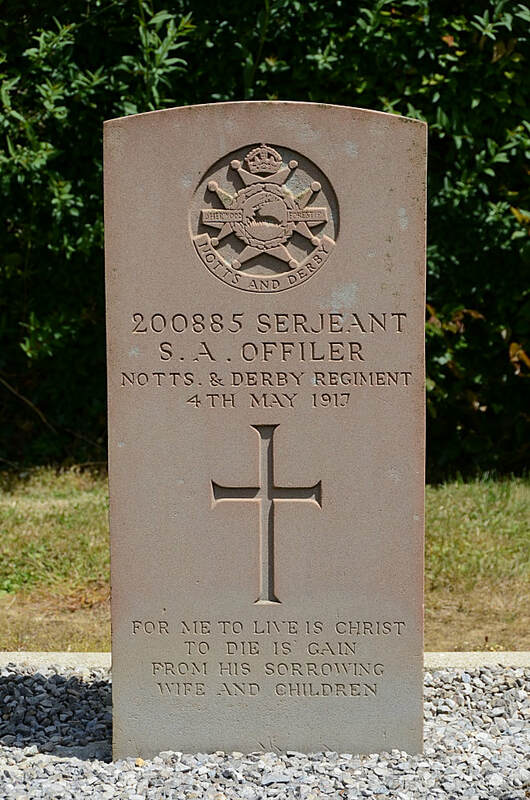 Son of Frederick and Ellen Offiler, of Nottingham; husband of Ada Offiler, of 12, Stanhope St., Long Eaton, Derbyshire.